He will be discussing longitudinal hives, including top bar hives and talking about natural beekeeping practices. Bio:. 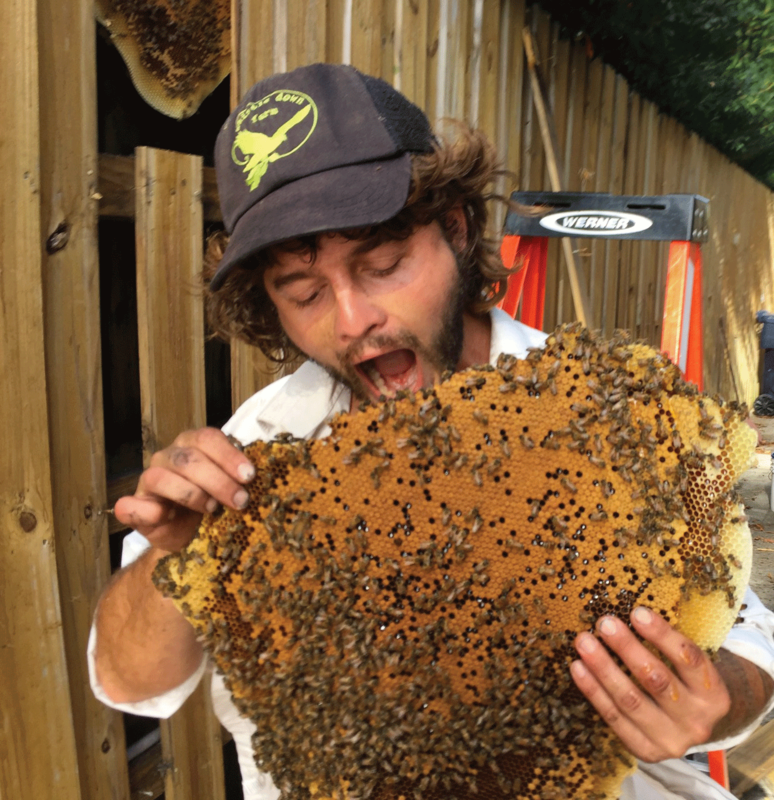 After watching a hive inspection being conducted in 2002, Sam got his feet wet working with bees by getting a job working for a 1000 hive operation in Vermont in May 2003. As Sam tells it, “Mostly I bummed around several beekeeping jobs and learned what I could while I could take it. Kirk Webster was the first I guy I met who made any sense. He was the only person I knew who trusted the intelligence of insects and told me that both they and I would be ok if I didn’t medicate them. I copied a lot of his methods of wintering the Summer splits to back up the operation, ‘expansion beekeeping.’ Then I visited Dee Lusby in Arizona and witnessed ‘shotgun beekeeping’ with these intense, huge hives that had each raised their own queens for decades and were always five deeps tall. I draw some elements from both of these treatment-free operations. Sam divides his time between New York and Florida and manages about 600 full-sized colonies and about 360 mating nucs. Half of the large hives live and stay in the Hudson Valley, in New York state, and half live and stay in southeast Florida. The mating nucs are stocked and then combined with the seasons (January to April in Florida, and May to September in New York).